2017 Tax Extensions are coming Due! 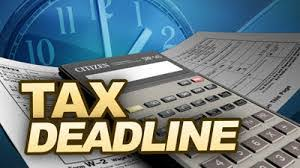 Please email or call Tina at 920-277-2991 to schedule an appointment for your 2017 tax return. This is Final Notice of Tax Extension Due Dates from our Office. Please plan accordingly. Thank you! This entry was posted in Blog on August 12, 2018 by c06675329.